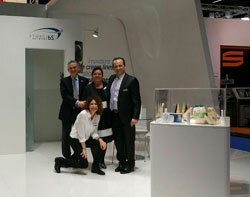 Storci, with the Storci-Bs business network, took part in the Anuga FoodTec trade fair in Cologne from 24 - 27 March. “It was a really important event, and it wasn’t long before visitors from all over the world were coming to our stand where we answered hundreds of queries on our products”. So reports Silvio Valesi, Sales Manager for Storci S.p.A. “The interest shown was mainly for our ready meal lines, but also instant pasta aroused a great deal of curiosity. Then, it goes without saying, our systems for dry and fresh pasta and couscous were always in the forefront”. See you all at the next edition! WATCH THE INTERVIEW WITH MCIHELE STORCI!